Reliance Industries has launched 'Jio Phone 2' under 'Jio Monsoon Hungama' during its 41 AGM on Thursday. This phone can be called a high-end variant of the old feature phone. There are several such features in 'Jio Phone 2', which are completely new. Just like the live phone of this new phone, this new phone also has a RAM of 512 capacities. This phone with a 2.4-inch QVGA TFT display will now have a QWERTY keypad system. QWERTY means the alphabet buttons in the computer's keyboard. The exact same button will also be on the keyboard of your mobile phone. One key feature of this QWERTY keyboard is that the keypad has an option of voice assistant. Using this option, you can command your voice and operate the phone. The storage and expandable storage capacity of this phone range from 4 GB to 128 GB. It runs on KaiOS OS's system. Just like in the live phone call of the current, KaiOS has an operating system. In this application like Facebook, WattsApp and YouTube are present from the beginning. 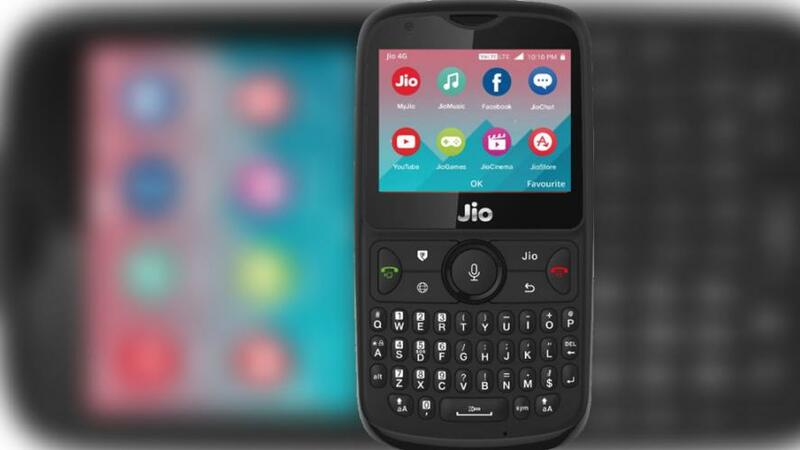 The price of 'Jio Phone 2' is Rs 2,999, but users of Jio Phone launched last year can change 'Jio Phone 2' to just Rs 501. This phone offers 24 Indian languages and voice command support. Apart from this, there is also support for FM, Bluetooth, Wi-Fi, NFC, and GPS.